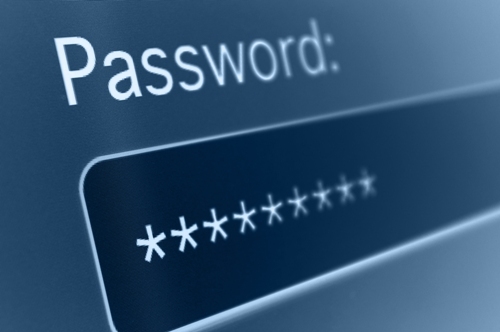 5 Myths of Password Security: Is Your Password Strong Enough? HomeTech Tips5 Myths of Password Security – How Strong Is Your Password? Most computer users and system administrations often think that including random characters such as “pA$5w0r])” as a strong and secure, however contrary to this belief; a long string of memorable words such as “halitosisgolfkangaroo” is actually stronger. The reason for this is because of something called “password entropy” — a representation of how much uncertainty there is in a password. Increase in entropy directly translates to how difficult a password is to crack. To simplify, adding password length increases entropy more efficiently than replacing letters with random characters and symbol. With that in mind, it is also very important to use text as random as possible in passwords, like “halitosis kangaroo crispy golf”, which includes words with no obvious correlation. Using repeating characters, common names, and sequential numbers or well-known keyboard entries like ‘qwerty’ are expected — the opposite of random. To learn more about password entropy visit this awesome blog post for a more in-depth explanation on password entropy, or XKCD’s easy to understand comic for quick reference. So keep in mind when enforcing passwords or giving advise to your users, make length a priority and choice random text over character complexity. Better yet, shoot for both. Password strength checkers uses a predetermined “security criteria” to assess a strength, a minimum score may be required as well. The two most common methods for calculating these scores are: measurement of entropy of password (represented as — time to crack) or comparing it against a numerous set of benchmarks. In addition to length of password a common benchmarks includes whether a password contains mixed case letters, numbers, or special characters. For example, a string of the letter ‘j’ should not receive top marks, even though it has high entropy value. An attacker can easily repeat a single character the maximum number of times a login form allows. Does combining ‘John’ and ‘12345678’ make for a “Very Strong” password? Not really, they were among the most common passwords in the massive RockYou breach. The same goes for ‘Qwertyabc123’, which both tools mark as Strong. Blacklisting every single common passwords is difficult to code into a password checker, however they’re easy for an informed user to consider. Like any other systems, even two-factor authentication can have flaws or bug. In example, last year, CloudFlare CEO Matthew Prince wrote a detailed account of the hack that gained access to his private email account. The kicker? Matthew Prince had already implemented two-factor authentication—the attacker some how discover a weakness and got around it. This is absolutely not a dismissal of multi-factor authentication. Please do use it when it’s available! Just don’t consider it a replacement for strong passwords. There are two major deficiency that makes CAPTCHA a less-than-stellar choice for preventing brute-force login attempts. First and foremost, it’s difficult for users. Second, most implementations aren’t secure enough to fool the bots. CAPTCHA has a challenging task of finding that sweet spot where it can trick ever-improving attacks without introducing significant friction to whole sign on process. With 3 people looking at the same CAPTCHA less than 70% of the time there is an agreement. 9.8 seconds is the average time is takes a users to solve a text-based CAPTCHA. The same audio CAPTCHA when listened by 3 people; The same value is only agreed upon only 31.2% of the time. 28.4 seconds is the average time it take a user to solve an audio CAPTCHA. This time can be much longer for Non-native English speakers. That’s a lot of noise from a user standpoint, and if usability for usability’s sake isn’t good enough, CAPTCHA really does cause users to bounce and move on. The percentage of users who give up in frustration varies, however figures of 20% have been reported. Although one should note that many of these are likely the bots CAPTCHA is intended to attempting to attack. All in all, most CAPTCHA schemes are very breakable. There’s an immense economy around breaking it. A more secure implementations are forced to engage in constant increase in challenging CAPTCHA to be recognized—resulting in more difficult CAPTCHAs.